As usual the week started with housework and with the sun shining I decided to clean the windows again (excluding the side windows that are so difficult to access), so it was a case of ladders up and down the stairs again – should keep me fit with three flights of stairs. That took most of the morning and only allowed me to vacuum the dinning room suite and the stairs. I also decided to have a go at the chrome door handles outside of the patio and balcony doors – they have corroded quite badly in the salt air over winter and are pitted and rough. My solution to this problem is an old “recipe” for cleaning chrome and is well documented elsewhere – rubbing down with aluminium foil – this worked reasonably well, there are still some pit marks after one go at rubbing down, but there is more shine and it feels smoother to the hand. 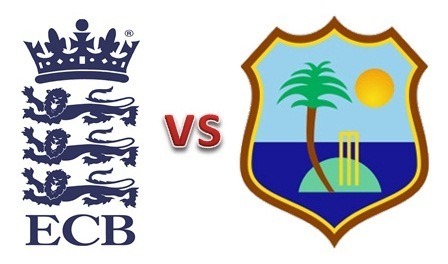 This week the t20 Internationals were concluded between England and West Indies. I have to say i was unimpressed by the way England batted and watching someone (Hales), who was world-ranked No. 1, going back to all spin and always playing across the line did not suggest to me someone that is world class. In fact, within the top four there are no players willing to play straight to spin! I think there is still a management problem with England, which relates to their unwillingness to change tactics, and it really is time for them to explore the concept of form dictating position in the batting order. They could also learn a lot from the West indies bowling methods, especially accurate yorkers and the key is the word accurate – I am surprised how frequently professional bowlers completely miss the length they should be bowling and England are very bad at this. Mind you, I also feel criticism of The West indies is justified; although they played well overall I think that sometimes they are a little lazy – the bowler getting back to the stumps for a run out, or backing up throws. 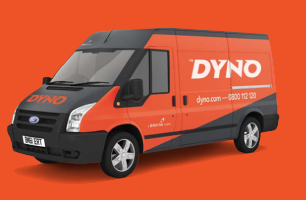 Toward the end of the week we had to call DynoRod to solve a blocked toilet, if it is not one thing it is another, they were very good. it turned out the main drain pipe from the toilet was jammed solid, which I got to see on their camera, and this had to be “moved” with a high pressure hose. Now we have to get the plumber to adjust the flush volume as that is probably where the problem began! So much for being green! 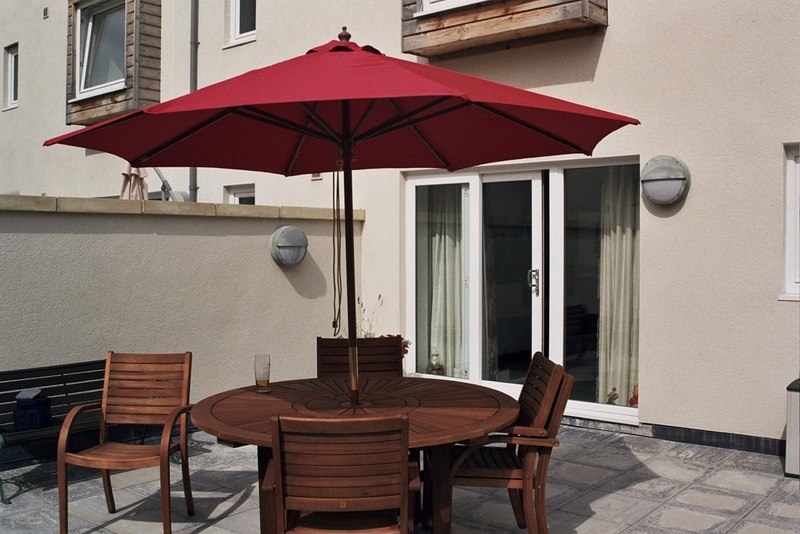 T he fine weather meant that I was also able to start oiling the patio furniture, which has survived the wettest winter in living memory remarkably well. This also got me around to oiling the wooden step at the patio and balcony doors. they look at lot better now, but the room got a bit smelly – more solvent abuse! It was good to be able to unwrap the patio furniture and “air” the umbrella. It is also good to be able to talk about warm weather! Another job involved a second bracket for the satellite dish, which had moved in the gales around Christmas and the bracket and some washers I needed to complete this job arrived. It was just a little too windy to get up there, so maybe next week. At the week-end I baked some soda bread as something of an experiment. it came out okay, I was surprised. I tried a very simple recipe of just plain flour, self-raising wholemeal flour, salt, baking powder and a yoghurt-milk mix (buttermilk substitute). I didn’t want any sugar in the bread and I wanted wholemeal. We ate it with pate and it was tasty. I spent some of this week staining and making the final assembly of the shoe rack – a slow process as i have to wait for the stain to dry and working in the garage is tricky because of the solvent – and it is now nearly finished. I have discovered one thing from this process and that is that wood stains also age wood by picking up every crease, indent and scratch, interesting but not quite what I wanted! I have also decided not to varnish the wood, I’ll wait to see how things go before I decide, but I think the varnish may not look so good. At the beginning of the week there was a trip to the library to collect a DVD (Riddick) and then return it a couple of days later. That also gave us a chance to pop into some of the shops to pick up a few items. However, in between I spent a fair bit of time watching the cricket I recorded from the ODIs (I am still watching!). Although we eventually won the series the play was somewhat haphazard and I was not really impressed by any of the batting. For me the England team look unbalanced at the moment and while Root looks reasonably solid, I am not sure about Moeen Ali or Michael Lumb (who I used to watch at Hampshire). Neither look really solid and able to bat through an ODI, which should be the aim of openers surely. Some people may think I am being over-critical and both have, in fact, batted well and given England a good start in some of the matches, but also both have also got out at inappropriate times to poor shots. I think this is where the problem lies for the modern batsmen – shot selection and when to attempt unusual shots – the t20 tournaments have developed the batting skills of modern players along the lines of making shots that seem impossible and overcome the problem of tight bowling, but they are always risky. The great batsmen can play these shots, but choose the time to do so very carefully and weigh all of the risks. However, there is always a tendency to see these shots as a way to entertain the crowd or to overcome a barren spell (neither is bad if it comes off) and this can mean a reckless shot leads to dismissal at a bad time. I would argue that this is the problem that led to criticism and ultimately the dropping of Kevin Petersen (possibly incorrectly), but what is really needed is a better match plan about how and when to use such shots. This is part of my personal theory that professional cricketers, more than any other sportsmen, need high quality sports psychologists who should be able to input to match plans and discuss the various scenarios that would lead to use of extravagant shot selection. Okay, it sounds simplistic and, in actuality, free will would still dominate such decisions, but the fact that the great players do this naturally shows the plan works, but how to implement this better is something I cannot comment on – I’ll leave that to the experts (mind you I am not sure the England Management are experts). Well that is my rant about cricket over with (again) and now it is time for rugby. We went down The Cricketers for Sunday lunch and rugby, it was a good atmosphere and a good match for England; although, they did manage to keep Wales in the game with constant penalties – something they really need to sort out. The sun was shining when I got up this morning and no sign of rain, so it was a good opportunity to clean the windows and remove a very thick layer of grim that has built up due to all of the rain and the fact that we are on a building site at the moment. This also gives me a chance to whinge about architects and designers – our new house has tilt and turn windows everywhere except at the side where we have two windows up the side of the house that are the least accessible of all of them – why would you make the least accessible windows the ONLY ones that are NOT tilt and turn? There is no logic! However, today, while I was up the ladder cleaning the top window, I partook in a rare bit of helpful neighbourliness – one of the guys who lives on the estate saw me some 30 feet up the ladder and offered to hold the bottom of the ladder for me. He later told me he was afraid of heights and thought I might need such help. Thanks for that it is nice to know people still react in such a way. After cleaning all of the windows, and before lunch, there was time to stain the first section of the shoe rack, but this led to a nasty case of solvent abuse as the smell was quite strong – eventually, I had to part-open the garage door to circulate some fresh air. generally staining the wood looks okay; although where the edge takes up the stain there is a lot of darkening. So, now I have started gluing the sections together prior to varnishing (more solvent abuse!). This evening I managed to finally watch how England lost the first ODI – they just stalled in the batting – it was disappointing to watch! This was a fairly quiet day and I spent most of the time working on the shoe rack project – cutting the legs, dowels and shelves for the second unit. I am pleased with the adaptation of the jig saw – attaching a block of wood to the shoe to ensure the maximum blade depth is one inch – this has allowed me to cut the notches in the legs to take the two shelves. A good piece of improvisation! In the afternoon/evening i watched the Southampton-Liverpool match on TV (even though the real thing was just down the road). 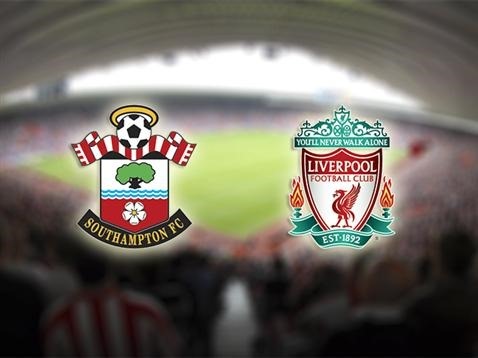 Liverpool played really well, but also had the run of luck needed; while Southampton deserved something from the game and provided a lot. Up early again – in case they delivered the wood early – in fact they came about 10:30, so I could have had more time in bed! 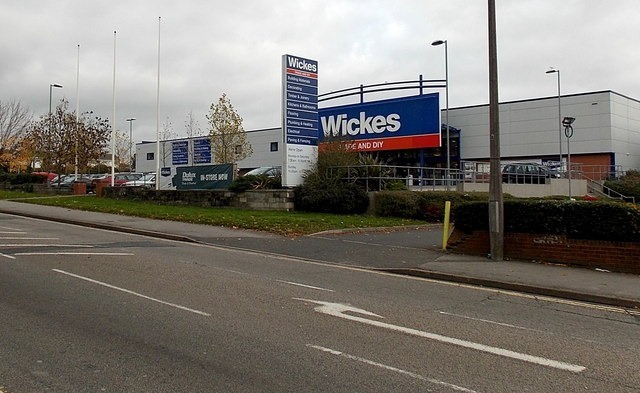 It was a strange situation with the guys from Wickes as they were supposed to take away the damaged wood, but they said they didn’t want it and suggested that I kept it. Then they rang back to say they should have taken it after all, so will now have to come back tomorrow to collect (between 8 and 9 am), so another early start. 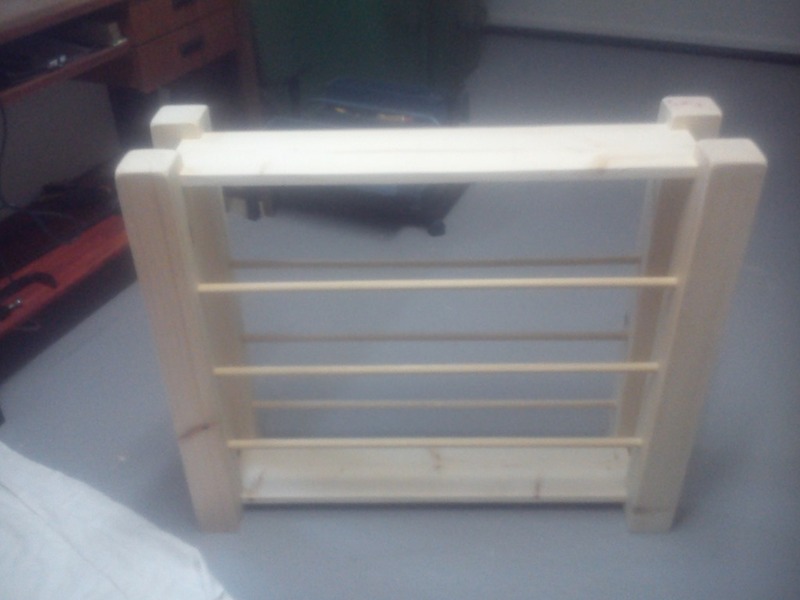 I spent most of today working on the shoe rack that i am currently building and I have now finished the first stage. There is still quite a way to go and a lot of sanding the wood before I glue it, stain it and varnish it. I will carry on with the second section over the next few days. I managed to watch some of the film (Time Runners) I borrowed from the library (about half of it), it was a little confusing, but interesting – I will reserve judgement until I have seen all of it. I made chicken tikka for dinner today, it is a long time since I made that, but it was okay – maybe needs less cooking in the new oven – it went well with the salad. Finally, watched an exciting game of football with Spurs playing a brilliant second half after a woeful first half and then poor start to the second half. Three goals in 13 min was very impressive. I had planned to get up at 9 am this morning, but it was nearer 10 am by the time I woke properly. So, after a quick breakfast and tablets I took the ladders upstairs again and went up to fix a temporary clamp on the rod holding the TV aerial and satellite dish. Although it is only a couple of pieces of wood clamped around the rod, it seems a lot firmer and will hold until I get another bracket of some sort. So, that was a busy, but productive, start to the day and after lunch I went to get my hair cut and also collected a DVD from the library (I am a real believer in renting from libraries to help them with an income). The movie is called Time Runners and when I get to watch it I will let you know what I think! When I got back, we both made our way out to Wickes in Winchester Road – I have not been and this was something of an adventure finding our way by public transport – so we got the U6H from just outside The Rockstone pub, which took us direct to outside Wickes and, of course, all for free! I bought the wood I require, and a coping saw, and arranged for this to be delivered with the replacement wood I have mentioned already, so lets hope this all turns up tomorrow. The journey back was a little more complicated as we thought we might catch a connecting bus that would be more direct, but things didn’t quite work out. I was really worried when we had to make a short run for the bus and Kathy looked like she was dying! I know she is not too fit and has a lot of pain, but I was really worried. However, we made up for that by a beer in The Rockstone sitting next to the warm wood fire and I think Kathy liked feeling the heat on her back. After dinner (salad) I watched football again and at least Chelsea scored a goal – the first English goal in this round of the European Championship!